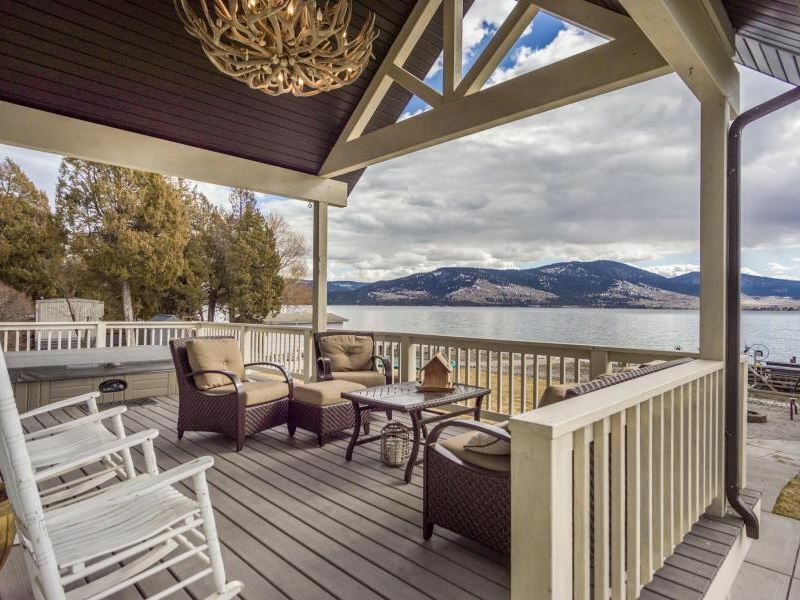 Completely remodeled lakefront home with a new guesthouse, boathouse, large dock with a lift station and over 111 feet of Flathead Lake shoreline. Lots of room to entertain with a lakeshore patio & fire pit, a huge covered deck with a hot tub and the entire property has been landscaped or paved for parking. Underground sprinkler system in place. The boathouse has a rail system and features a new 3/4 bathroom & sauna, along with lots of storage room, perfect for an outdoor kitchen. The log guesthouse is charming with slate tile and wood flooring. The main house has wood floors, a rock fireplace and a kitchen with custom cabinets and thick slab granite counters. Included with the 10+ acre property is a small cherry orchard.